Parents fret just as much over the new school year. Especially when their baby is headed into middle school for the first time. Don't fret parents! There are things you can do at home to help your child see success in school. Education is not just for the classroom setting. 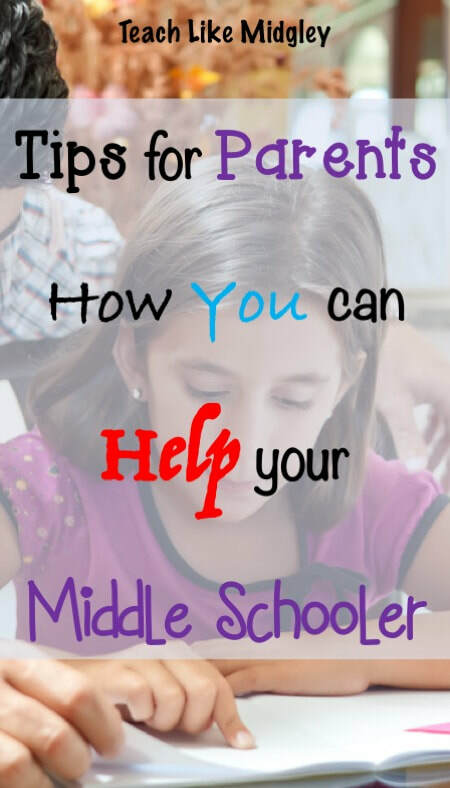 You can expand your middle school child's education through life skills at home. Don’t underestimate your middle school child’s abilities. At this age, your child can learn a lot of life skills that will contribute to a well-rounded education. Here are a few things you can do to ensure that your child will gain many opportunities to grow as a student and person. Give them their own bank account. Your middle school child is old enough to have and to manage their own bank account. Start them off with a small amount of money that they are able to invest, and give them the opportunity to save and take charge of their own finances. Encourage them to deposit their own money from that point on, and remind them to keep track of how much interest they earn. It will certainly be a learning experience for them that will start them off on the road to future savings. Get them involved with volunteering opportunities. No one is too young to volunteer. Everyone has an ability, and every ability can be used for the purpose of helping others. Volunteering exposes your child to a variety of situations and many different people. Whether your child plays piano in a senior care home or walks dogs at a local pet shop, volunteering will help them decide what they may want to do later in life. It also gives your child a sense of responsibility and reminds them that their presence is important in the world, along with teaching the life skills of being on time and being dependable. Get them involved with the business world. Your child doesn’t have to have a large home business in order to learn valuable skills through it. Even a simple paper route gives your child the opportunity to put their education into real-life practice. Delivering papers on time, collecting money from the customers on the route, and counting the total of money earned is a great education for any child in lessons of math, people skills and responsibility. These skills apply to any job in your child’s future. Include them in home gardening. Gardening is a great way to further your child’s education. Gardening will teach your child basic science principles such as growing food from seed and how to do it in the most efficient way. It also gives your child an education in where our food comes from, and what we need to do in order to create a world with a hospitable environment toward healthy food production. Have them help with basic household duties. There are basic household duties that every child should know. Keeping their room tidy, doing their own laundry and making a simple meal are some skills that will serve your child well in life. Give your child the opportunity to learn these skills when they are young, so that they do not have a constant struggle in these areas as an adult. Your child’s middle school years are a time where their world is expanding rapidly. There is always more that they can learn, however. Give your child these opportunities and see them continue to grow to become a responsible child who will someday become a responsible adult.